Our adult choir meets the two Wednesdays before the second Sunday at 7:00 in the church library for rehearsal. 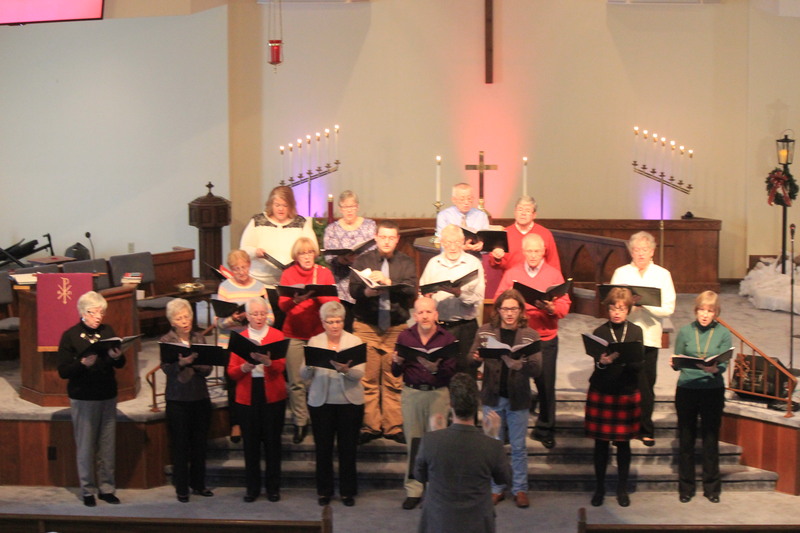 The choir sings on the second Sunday of each month, and the choral selections are always connected to the Scripture and morning message. We presently have 25 to 30 choir members, and use a variety of SATB repertoire, so reading music is very helpful, though not necessary. Our congregation is bless with four talented organists who rotate worship service duties. They are: Kay Kratzer, Pam Perna, Peggy Rearick, and Colleen Ritter. 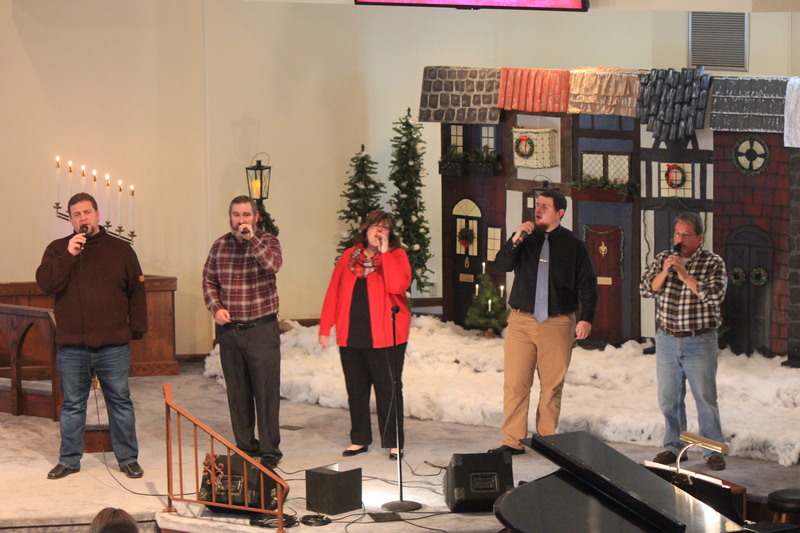 Our praise team presently consists of several vocal singers and an accompanist. Pre-Worship Music is on the 3rd and 5th Sundays of each month starting at 10:10AM. Please join us! Our children’s music ministry begins bright and early every Sunday morning at 9:00 A.M. in the upstairs of “the educational building”. Preschoolers through 5th grade meet together before Sunday School to sing songs pertaining to bible stories, look at upcoming children’s choir numbers, sing their favorite VBS songs, and learn the motions to many of the “old Sunday School songs” under the direction of Colleen Ritter.